Pioneers in the industry, we offer cold storage doors from India. We offer a wide range of Cold Storage Doorsto our clients. We provide high-quality products to our clients. 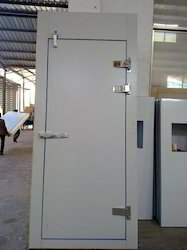 In order to cater the variegated demands of our precious clients, we are offering a wide range of Cold Storage Door.